Kefalonia is the largest of the Ionian island's and is a popular holiday destination thanks to the filming of "Captain Corelli's Mandolin" The natural beauty of the Island is enhanced by the rugged mountains, delightful villages and white sandy beaches. 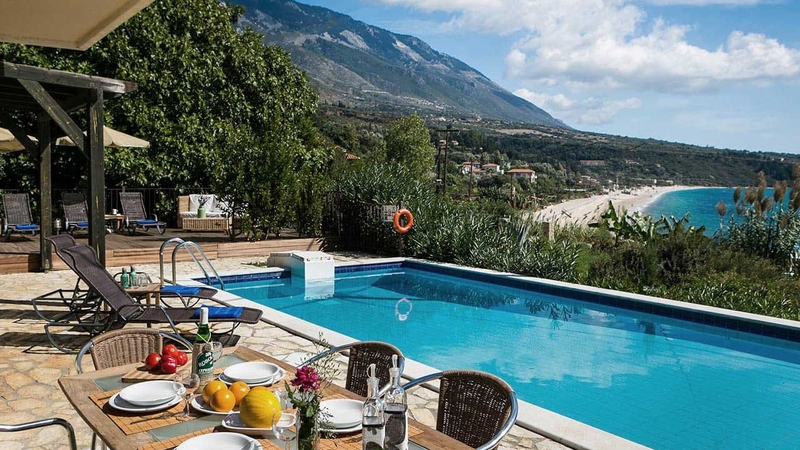 Offering a diverse range of activities, from cultural exploration to lazy days by the pool, and discovering a little gem of a restaurant for a delicious lunch, Kefalonia is perfect for family holidays. 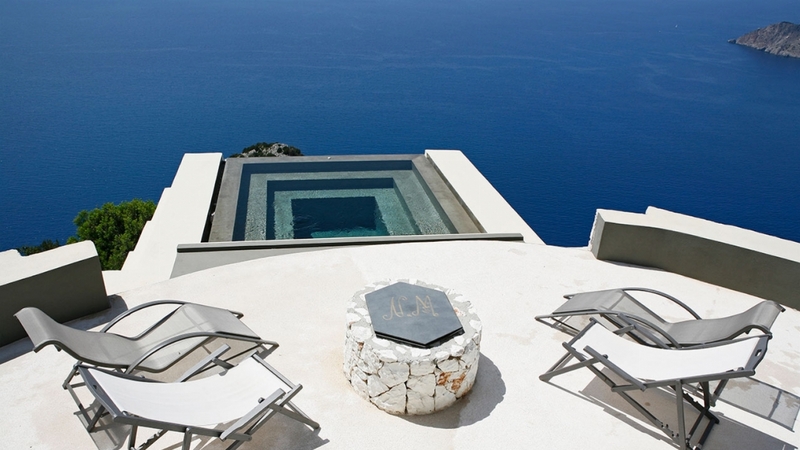 Why not choose one of our luxury villas in Kefalonia, Greece and enjoy a truly memorable holiday. 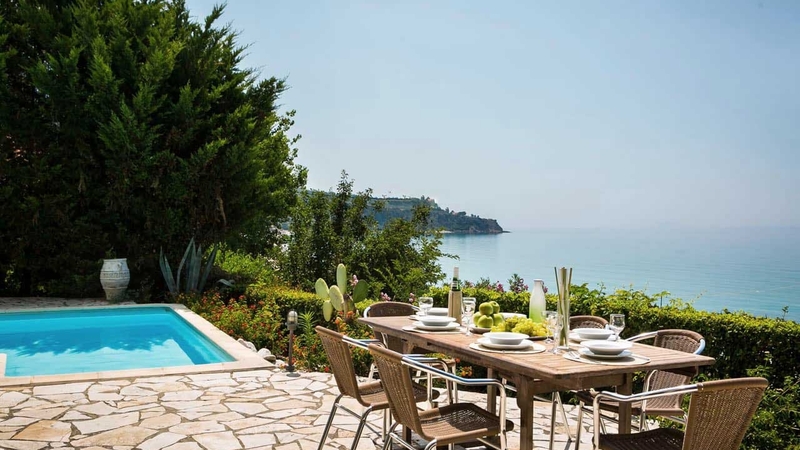 Ionian Sands is a beautiful villa, set in an elevated position, nestling amongst the trees, directly overlooking Lourdas beach and just a short distance from the sea. With glorious panoramic views of both Lourdas’ beach and the sparkling Ionian sea, this really is the ultimate in stylish beachfront living!. Commanding sweeping panoramic views of both Lourdas’ glorious beach and the sparkling Ionian Sea, this really is the ultimate in stylish bijou beachfront living!. Just outside the pretty hamlet of Spartia, this charming cottage enjoys a tranquil location perfect for a relaxing, romantic holiday for two. 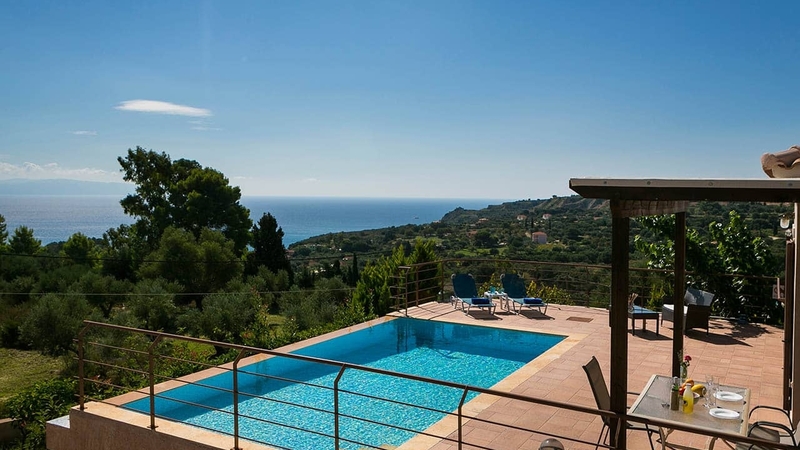 Isolated by geography and choice, the setting of Villa Brindisa is not for the faint-hearted; the four-bedroom residence is perched on top of a cliff that plunges to the sea, with nothing in sight but the pacifying calm of the azure horizon. Villa Tulip is ideally situated close to the dreamy village of Fiskardo, one of the island's highlights, and a five-minute drive from the nearest beach. Boasting its privileged waterfront location, this 5 bedroom villa is surrounded by verdant gardens and beautiful natural scenery, only a minute away from the beach.